The study of food has long been part of disciplines like history, sociology and anthropology. Scholars see the study of food and food practices as one way of shedding light on a particular place or cultural context, but food and foodstuffs also form a key part of mobility and exchange, as is well-known from the so-called ‘Columbian exchange’ in the Atlantic world. This conference focuses on the movement of food, crops and food practices, along with the migration of people and patterns of trade throughout Eurasia. This conference invites scholars working across relevant disciplines to present papers that shed light on the Eurasian movement of crops, foodstuffs and food practices, and the role of food in the exchange between Asia and Europe. Eminent French food historian Françoise Sabban will hold the keynote to this conference. The conference will be hosted by the Shared Taste project (established at the University of Leiden in 2013) and generously funded by the Kikkoman Foundation. For the duration of the period between 2013 and 2017, the Kikkoman Foundation has sponsored the Kikkoman Chair for the Study of Asia-Europe Intercultural Exchange with special attention to art, material culture and human dynamics. For more details, see www.sharedtaste.nl. Conference is scheduled for June 28, 29, 30, Leiden University, Netherlands. To submit a proposal, please send a 300-word abstract and a one-page CV to conference@sharedtaste.nl no later than 15 January 2018. Successful papers will be selected on the basis of quality and fit with the larger themes of the conference. All accommodation and subsistence costs will be covered for the duration of the conference, and we hope to be able to make substantial contributions towards the cost of all participants’ travel, although priority for financial support towards travel costs will be given to more junior applicants. The closing date for proposals is 15 January 2018. Successful applicants will be notified by 1 February 2018. To appear on the final program, each selected speaker will submit a text of no more than 2,500 words in length by 11 June 2018. From today, Leiden will be the place for the very first ‘Summer School Asian Food: History, Anthropology, Sociology‘. This full week’s summer school, which runs from September 25 till September 29, is hosted by IIAS, the Leiden Asia Centre and the Shared Taste project at Leiden University. Welcome all students to this week full of lectures, discussions, individual supervision, local field trips, and other events! We are really looking forward to working with you this week and sharing knowledge and experiences. 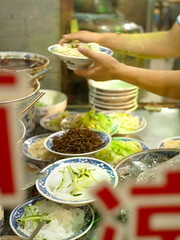 More information on the Summer School Asian Food can be found on the website of IIAS. Vessels of all kinds have long been a favoured topic of research, but jars —vessels for storage— have rarely been studied separately. Even less attention has been paid to the connections between the jars themselves and what they contained. Various Chinese vessels found in European and North American collections are commonly referred to as “ginger jars.” The label is misleading, as it suggests a specific content, while such jars in fact could contain a variety of foreign as well as indigenous fillings or simply be left empty. This workshop aims to bring together a group of scholars who will all examine jars in relation to their contents. Our approach will be transcultural, meaning that we explore not only exchanges of jars and their contents between Asia and the West but also across Eurasia, integrating aspects of inner-Asian exchanges, interactions between North and South, between the Chinese imperial court and the provinces, and between urban and rural. The workshop is jointly organized by Anne Gerritsen (Leiden University & University of Warwick) and Anna Grasskamp (Hong Kong Baptist University & International Institute of Asian Studies). This unique occasion will provide wide ranging coverage of this growing interdisciplinary field with contributions from international experts with at least one of whom each student will be guaranteed an individual consultation about their own work. 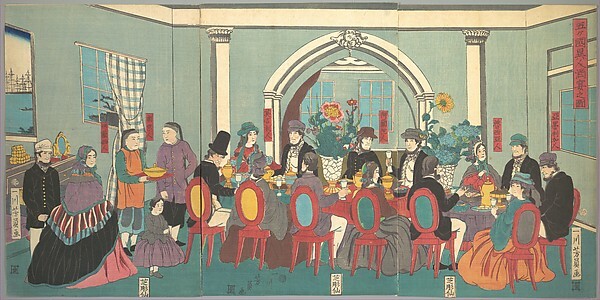 The aim of the Summer School is to highlight the wide range of resources for the academic study of Asian Food, available in Leiden and to present advanced methodological approaches and research techniques, together with the hands-on experience necessary for the analysis of historical documents and artefacts. The international experts who will contribute include: Anne Murcott (SOAS, University of London), Nir Avieli (Ben Gurion University, Israel), Katarzyna Cwiertka (Leiden University), and Anne Gerritsen (Warwick University / Leiden University). 29 November 2016. Museum Volkenkunde in Leiden. A gathering of curators, art dealers, (art) historians, sinologists, anthropologists and a large audience of many other collectors, scholars, and interested listeners. The topic: Chinese paintings, made for trade, that have languished for so long in Dutch and English collections without anyone paying them any attention.